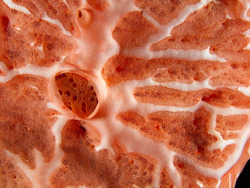 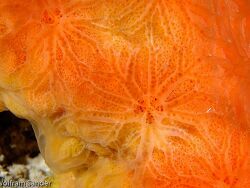 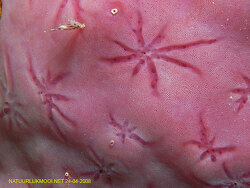 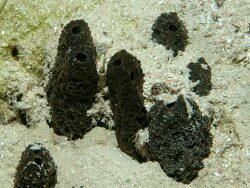 Sponges are the simplest of multi-cellular animals. 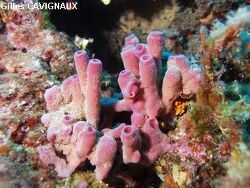 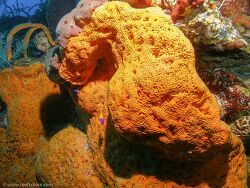 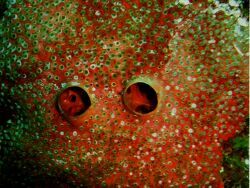 There are many different types of sponges in the world's oceans, and, contrary to popular belief, they can be quite colorful and beautiful. 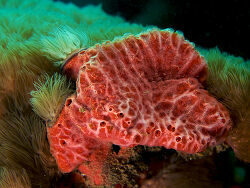 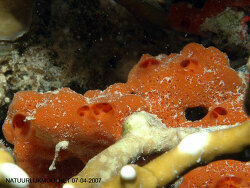 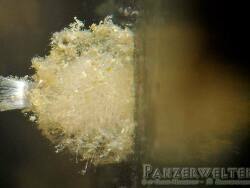 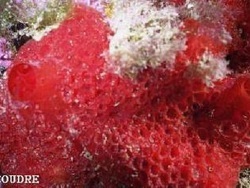 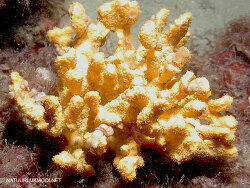 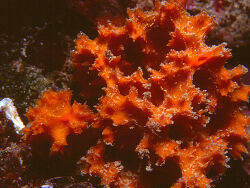 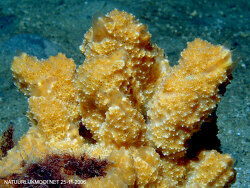 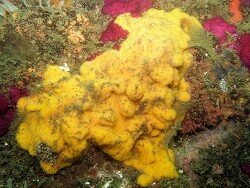 There are two basic types of sponge known, encrusting and free-standing. 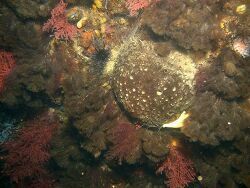 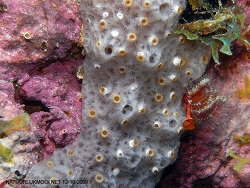 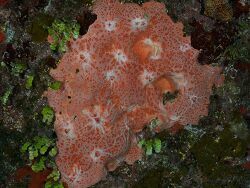 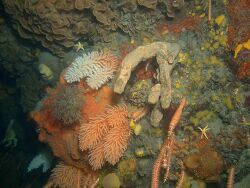 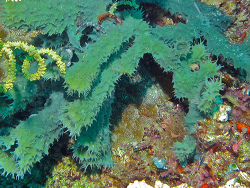 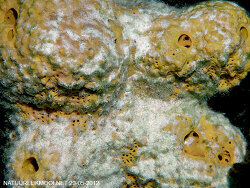 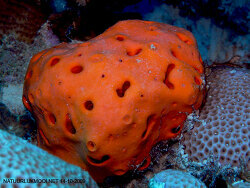 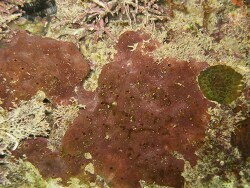 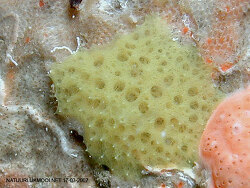 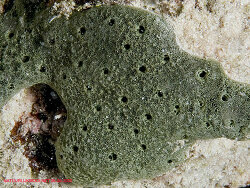 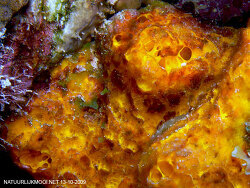 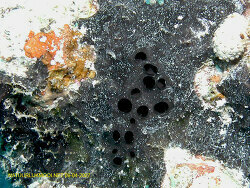 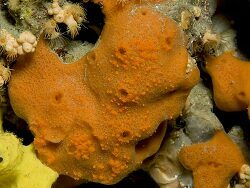 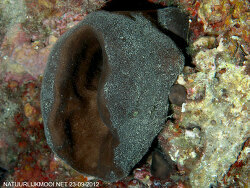 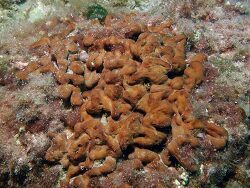 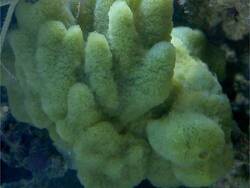 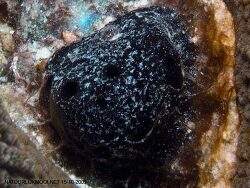 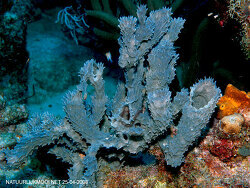 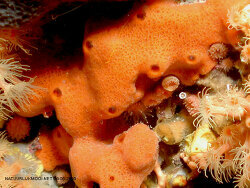 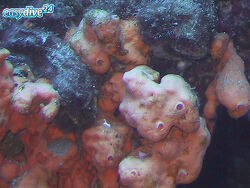 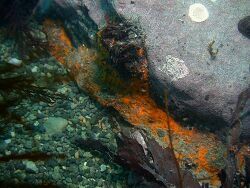 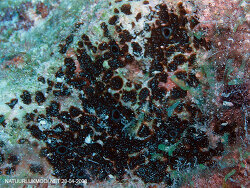 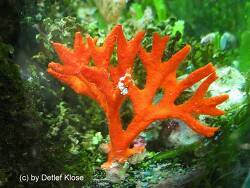 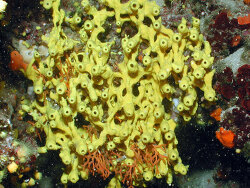 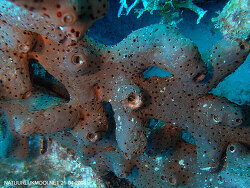 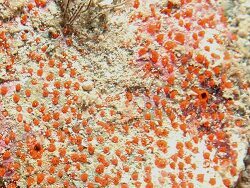 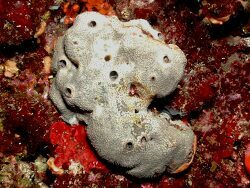 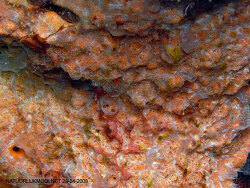 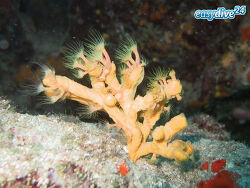 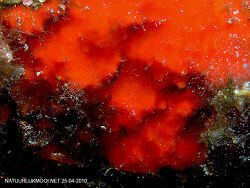 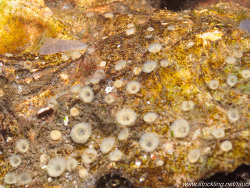 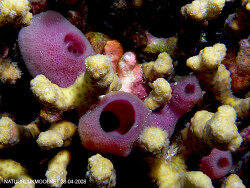 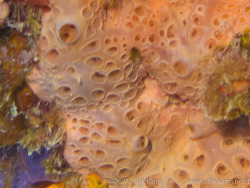 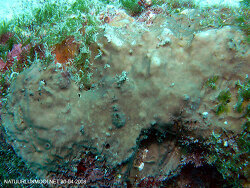 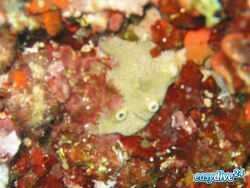 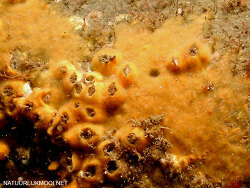 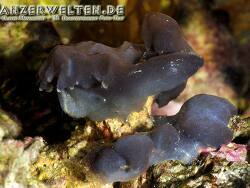 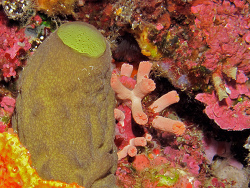 Encrusting sponges typically cover the surface of a rock like moss covers a rock on land. 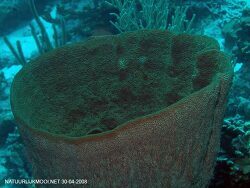 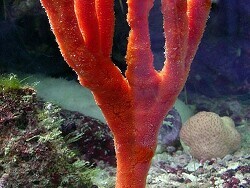 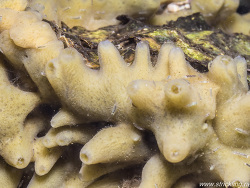 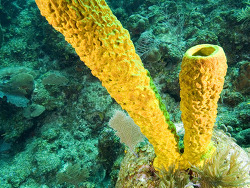 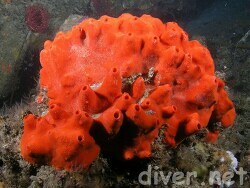 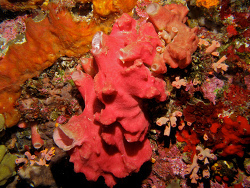 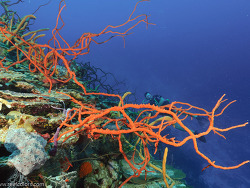 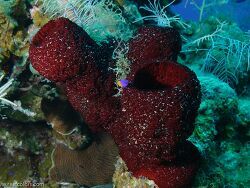 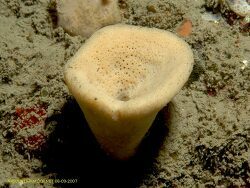 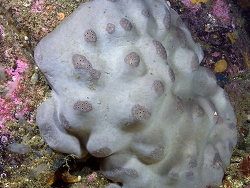 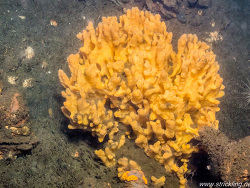 Free-standing sponges have more inner volume compared with their outside surface area and grow into strange shapes and sometimes they reaching gigantic proportions. 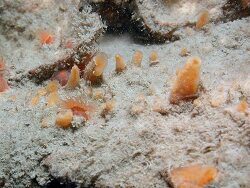 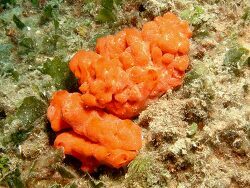 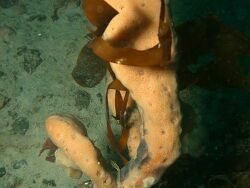 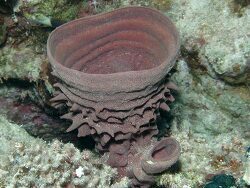 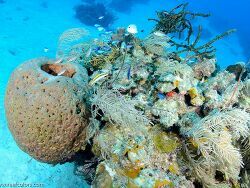 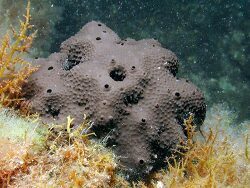 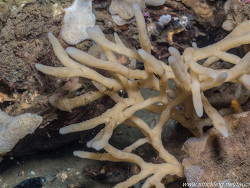 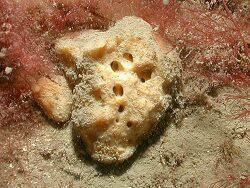 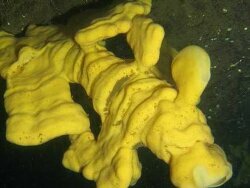 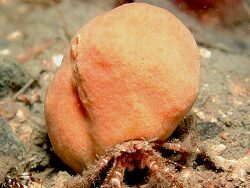 A sponge is a bottom-dwelling creature which attaches itself to something solid in a place where it can, hopefully, receive enough food to grow. 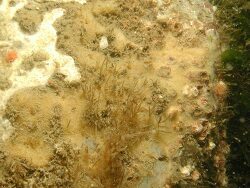 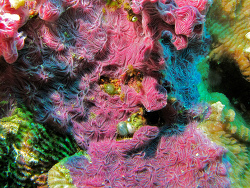 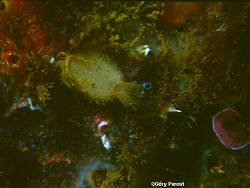 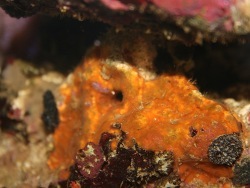 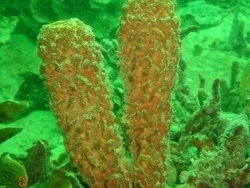 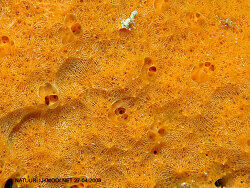 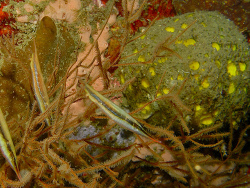 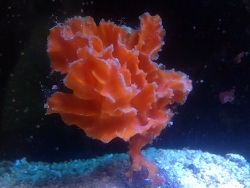 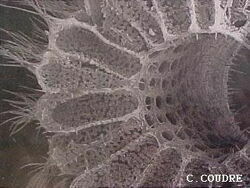 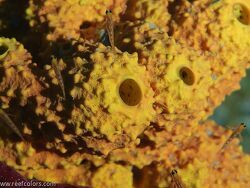 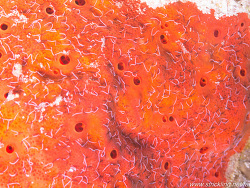 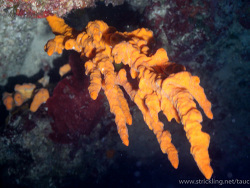 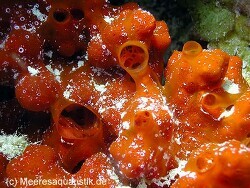 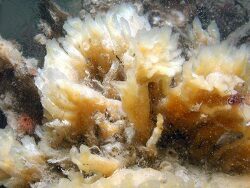 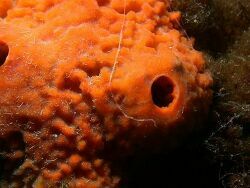 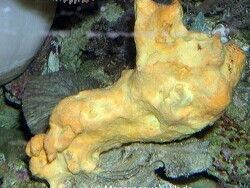 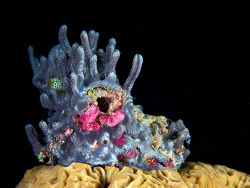 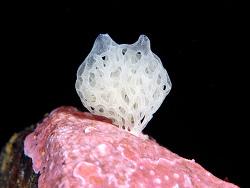 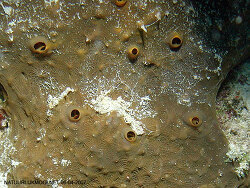 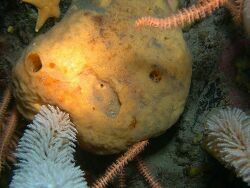 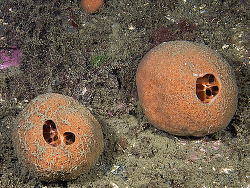 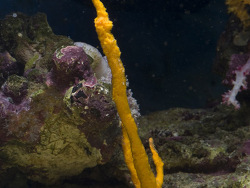 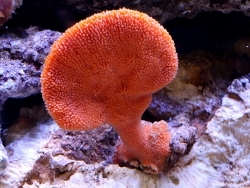 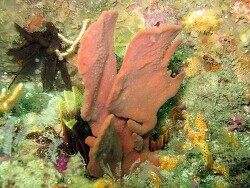 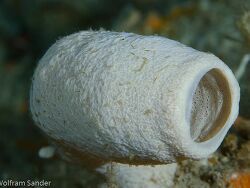 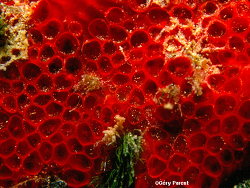 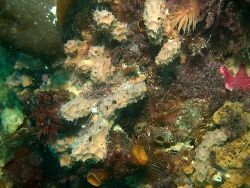 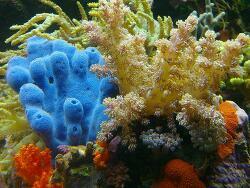 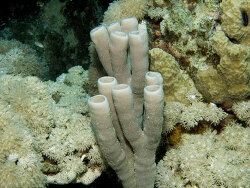 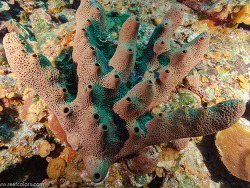 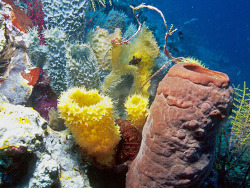 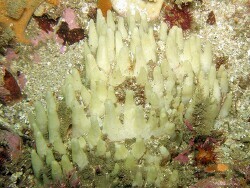 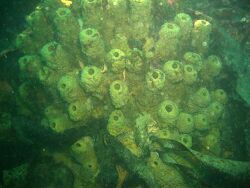 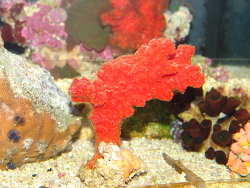 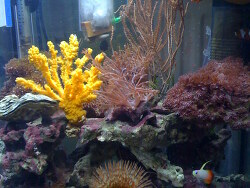 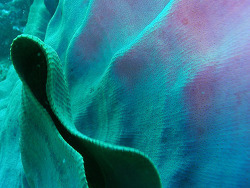 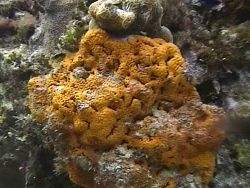 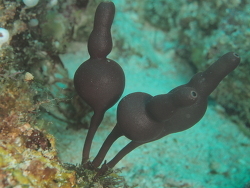 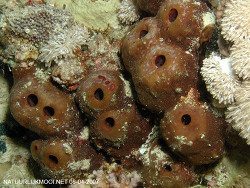 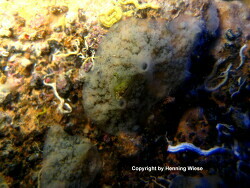 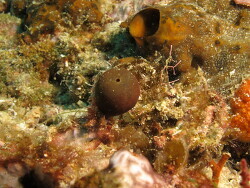 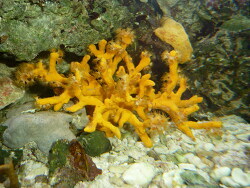 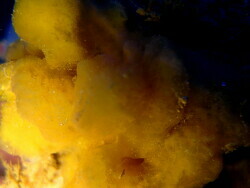 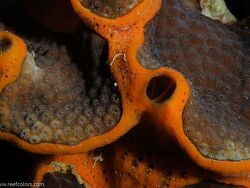 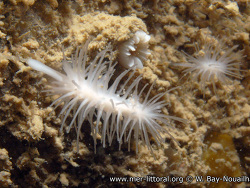 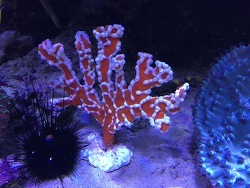 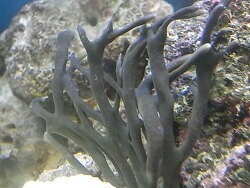 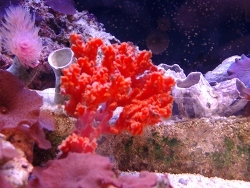 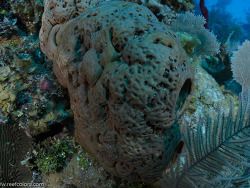 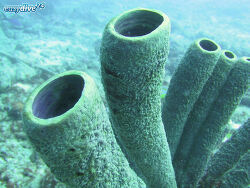 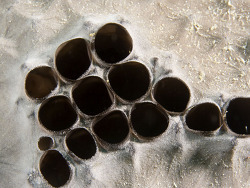 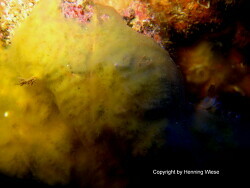 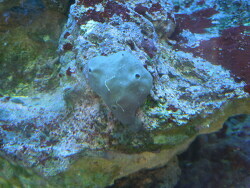 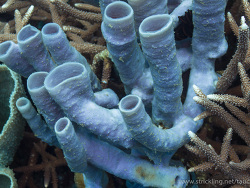 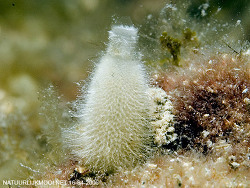 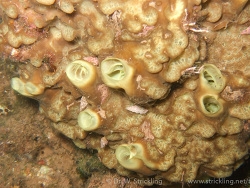 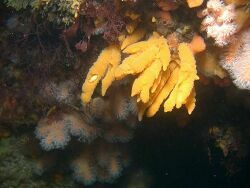 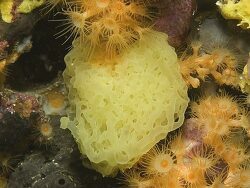 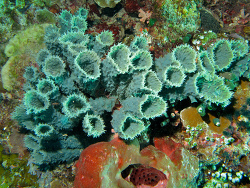 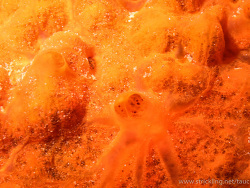 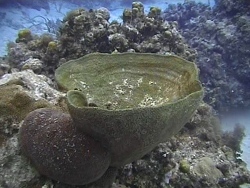 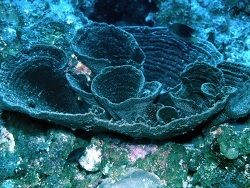 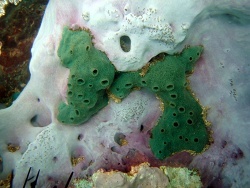 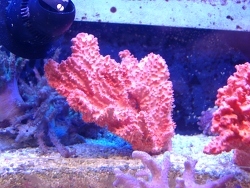 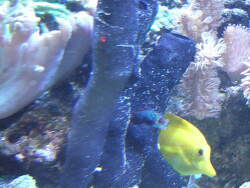 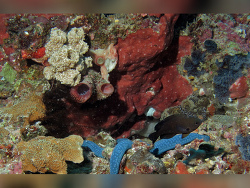 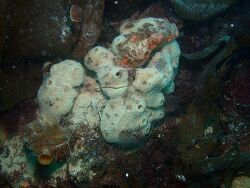 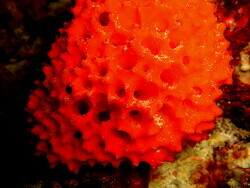 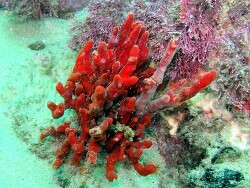 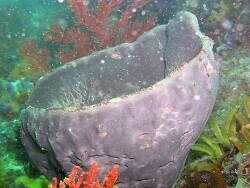 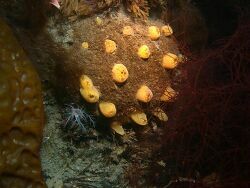 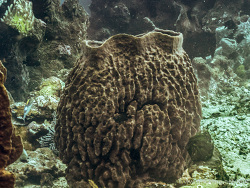 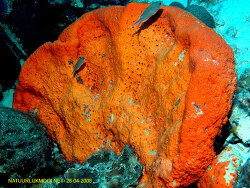 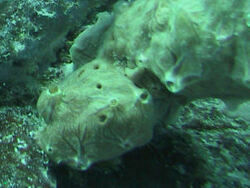 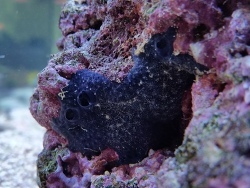 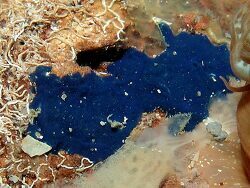 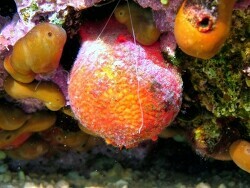 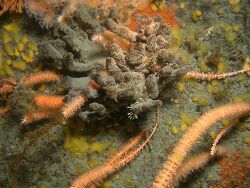 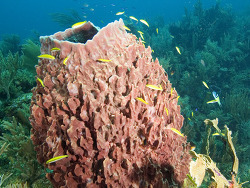 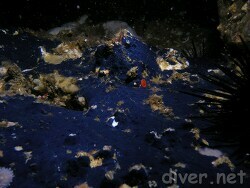 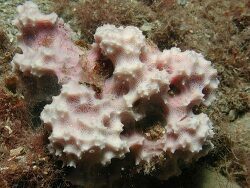 Sponges are very effective filter feeders, since they are able to capture and eat particles as small as bacteria as well as much larger particles. 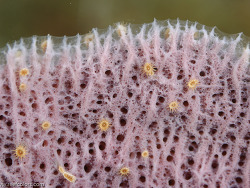 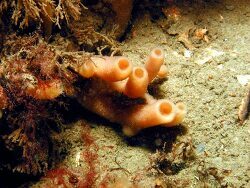 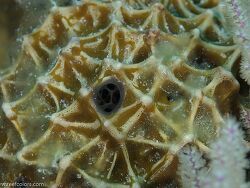 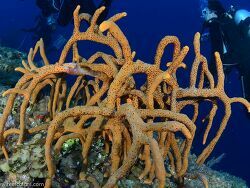 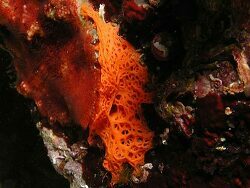 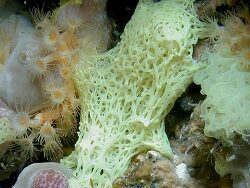 The skeleton of the sponge is composed of tiny needle-like splinters called spicules, a mesh of protein called spongin, or a combination of both. 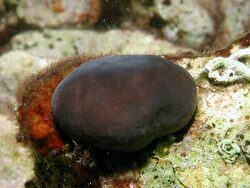 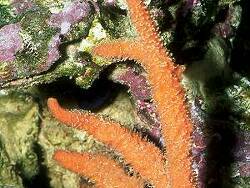 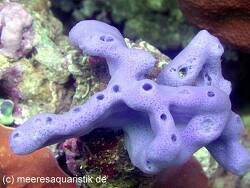 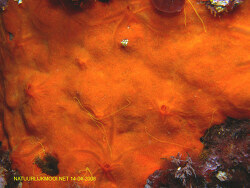 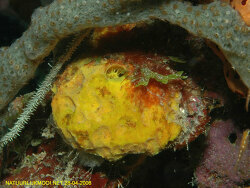 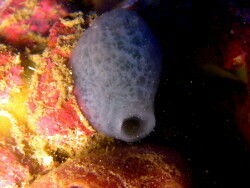 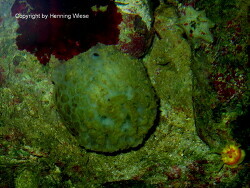 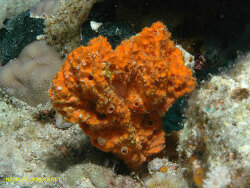 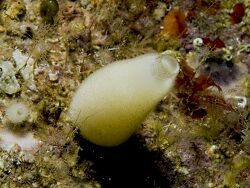 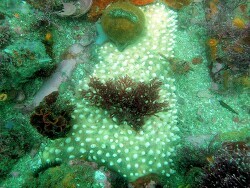 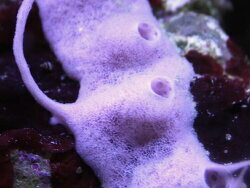 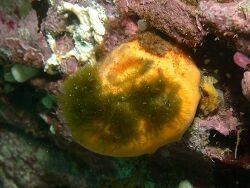 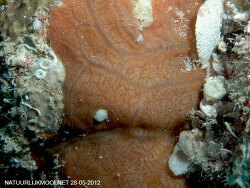 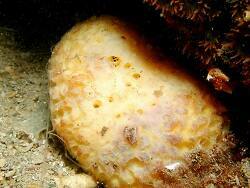 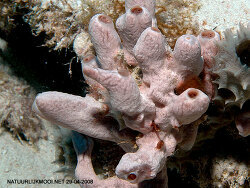 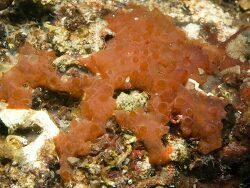 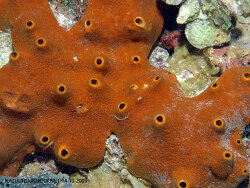 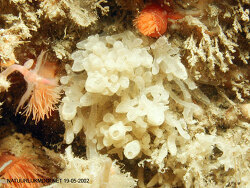 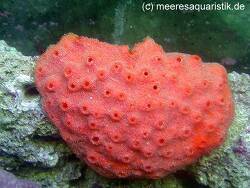 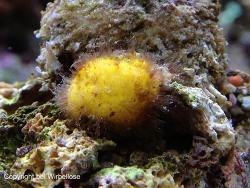 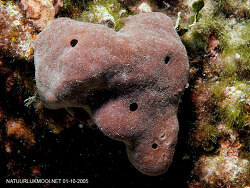 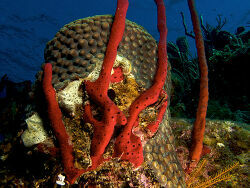 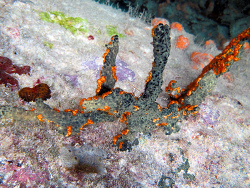 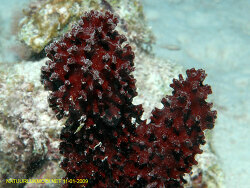 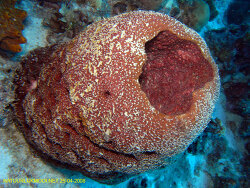 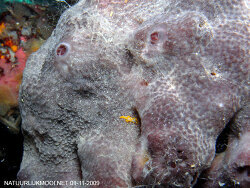 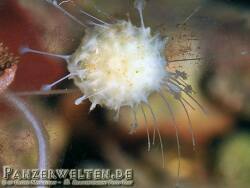 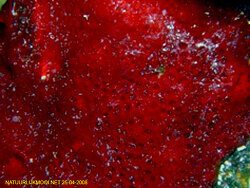 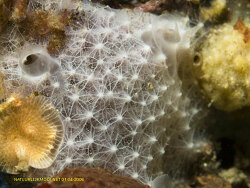 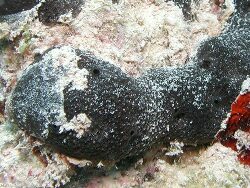 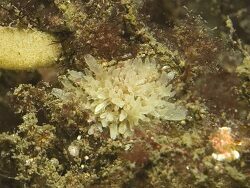 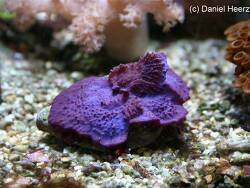 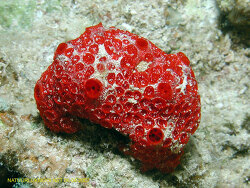 Most sponges are known as hermaphroditic, but produce only one type of gamete per spawn. 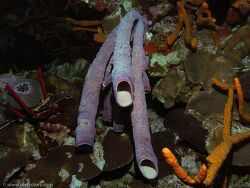 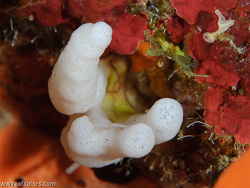 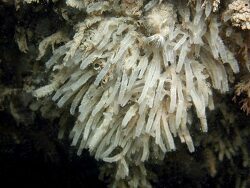 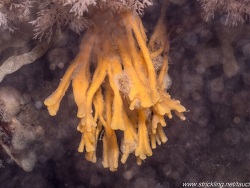 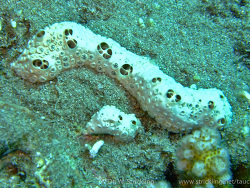 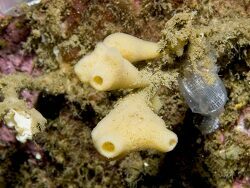 The sperm is released into the water column by the "male" sponge and finds its way to the "female" sponges, where fertilization occurs internally.